Albert Frick Associates has designed over 30,000 septic systems (leach beds, drain fields , filter beds) in the State of Maine since the company was founded in 1985. Our designs range from the most basic of pit privies to very large and complex community systems. The firm is intimately familiar with current and proposed codes and regulations governing septic systems. Septic system design (known as Site Evaluation in Maine) is a process during which a thoughtful designer must consider a number of different (and sometimes competing) elements. Even though the design process is complicated, our approach to designing septic systems is very simple. Frick Associates septic designers strive to provide our clients with the most cost-effective and functional septic design to meet their needs. We have a long and successful track record for permitting tough sites, including those from which other septic designers have walked away. For clients who are in the process of building a home, we work hard to fit our septic design into the overall development plan for the lot. We work closely with homeowners, landscape architects, builders and excavating contractors to assure that the septic system is sited in such a way so as to blend into the existing landscape (whenever possible) and does not interfere with other elements of the lot’s design plan. Whether you are developing a lot for new construction or redeveloping an existing lot the process can be complicated. Increasingly, environmental permits must be obtained before any phase of construction can begin. The Maine Department of Environmental Protection requires that landowners obtain permits for a wide range of activities within or adjacent to watercourses/waterbodies or wetland areas. Some towns also require that wetland areas be identified and located for the purpose of creating a new lot. Albert Frick Associates employs several experienced land-use consultants who can help you get the permits that you need in order to begin your project. Wetland delineations are needed any time a landowner has to impact wetland areas during the course of a construction project. Frick Associates has four Professional Wetland Scientists on staff who are capable of quickly and efficiently providing accurate wetland delineations on your lot. We are able to delineate and locate your wetland areas simultaneously using the latest GPS technology. After our work in the field is complete, our CAD/GIS department can quickly provide you with the wetland delineation plans required in order to obtain your permits We have a long and successful track record of working closely with State and local regulators on behalf of our clients. More recently, vernal pool surveys have been required to be completed prior to beginning construction projects. Unfortunately, there is a very narrow window of time during which these pools and their inhabitants can be surveyed each year. Generally, pools can be surveyed from mid-April (most years) through about the middle of July. The presence (or perceived presence) of a vernal pool can significantly delay the start of a project. 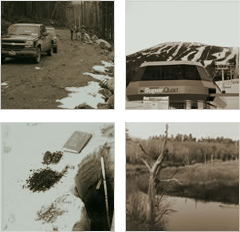 AFA staff have been involved in identifying, surveying and locating vernal pool habitats for many years. All of our wetland delineators are capable of identifying potential vernal pool habitat just about any time of the year. We are able to let you know whether or not a vernal pool may be deemed “significant” by MDEP Natural Resources Protection Act (NRPA) standards. If this turns out to be the case, then we will want to return and officially survey the pool during the appropriate time of year. Usually one or two follow-up visits are sufficient to determine a pool’s significance or lack thereof. Over the years we have been able help our clients receive permits for a wide variety of activities. Our experience is not limited to just wetland delineations and vernal pool surveys. 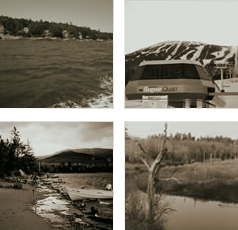 We have obtained permits for activities located within the shoreland zone, for proposed subdivisions, campgrounds, stream crossings, activities in coastal sand dunes, activities adjacent to protected natural resources, proposed docks and piers, land application of sewage, large-scale composting and wind power projects throughout Maine. Our professional staff of consultants is extremely well-versed in erosion and sediment contol measures as well as phosphorous control plans. Chances are, if you need to get a permit to begin a project, we can help you do it. If you are being required to submit a soils map as part of your project, then Albert Frick Associates is the best firm to help move your project to its next stage. Albert Frick Associates has provided cost-effective soils mapping for tens of thousands of acres in Maine for site development and environmental permits, and has been involved in soils research for as long as the company has been in existence. AFA employs a Certified Soil Scientists with more than 30 years of experience in this field. We have completed soil surveys and created soils maps for projects of all sizes. Frick Associates knowledge and expertise have been relied upon from individual building lots to the largest proposed wind farms in Maine. Albert Frick have been instrumental in both defining and refining the standards for quality soil surveys in the State of Maine. He has served on the Maine Association of Professional Soil Scientists Technical Review Committee and have been intimately involved in the creation of standards governing soil mapping. Mr. Frick was appointed by Governors John McKernan and Angus King to serve on the Maine Board of Certification of Geologists and Soil Scientists. Mr. Frick also worked closely with the State Soil Scientist in order to create the new Class L Soil Survey for large-scale, linear projects like wind farms. Albert Frick Associates has been involved with submeter-accuracy Global Positioning Systems (GPS) location work on our projects since 2000. From its earliest days, GPS has proven itself to be an invaluable money-saving tool in the location of wetland areas, vernal pools and soil test pits for our clients versus a traditional land survey. Our GPS location plans have been readily accepted by all municipalities (both Code Enforcement and Planning Boards) in which we have worked. We have the ability to not just locate existing features in the field, but also to create site features like building windows and conceptual house locations where none currently exist using GPS. We have used GPS in combination with our CAD design staff to create lot specific site plans for homeowners. Albert Frick Associates has been utilizing the power and precision of Computer Aided Design (CAD) since 1996. AFA was among the first Site Evaluation firms in Maine to utilize CAD software to draft septic system designs. AFA has a team of sophisticated and experienced CAD operators whose focus on technical accuracy and efficiency assures a top-quality finished project delivered on time, every time. Our CAD department has both the experience and knowledge to be able to work with a wide variety of CAD software packages. In 2007 we began to utilize GIS software. This move to GIS has greatly expanded our ability to create extremely detailed composite plans for our clients. No matter how simple or complex your project is, Frick Associates CAD and GIS specialists are ready to help. Throughout its 25 year history, Albert Frick Associates has been contracted by the Maine Department of Environmental Protection, Maine State Planning Office, Joint Environmental Training Coordinating Committee (JETCC), Cumberland County Soil and Water Conservation Service and Maine Division of Environmental Health, to provide training (both manuals and seminars) in our areas of expertise. Frick Associates staff have participated as instructors for environmental training seminars related to septic design, erosion and sediment control, proprietary leaching devices, advanced wastewater disposal topics, and environmental permitting with regard to wetlands, shoreland zoning and significant wildlife habitats. We have hosted a very successful (and fun) series of “septic socials” that were targeted at waterfront homeowners and lakes associations to educate them on the issues surrounding septic systems near waterbodies. Our staff have also been called upon to provide “expert witness” testimony when needed. Give us a call today and let us help you complete your project. Albert Frick Associates is Maine's authorized reseller of the BioBarrier® Membrane Treatment System. The BioBarrier® is an advanced onsite wastewater treatment unit which produces effluent quality of <5 mg/L BOD and <5 mg/L TSS. By cleaning the effluent to nearly rainwater quality, this allows for one of the smallest leach field sizes in the state. However the biggest advantage of this unit is making previously "unbuildable" lots "buildable". If a BioBarrier® system is used the Maine Department of Environmental Health can issue a variance to the Wastewater Disposal Rules. This has opened up more waterfront and small regulatory challenged lots for development. For more information please call us or visit http://www.biomicrobics.com/products/bio-barrier-membrane-bioreactor/. Concept and Development with HTML5 and CSS3 by SiteBento. Copyright © 2014. Albert Frick Associates. All Rights Reserved.